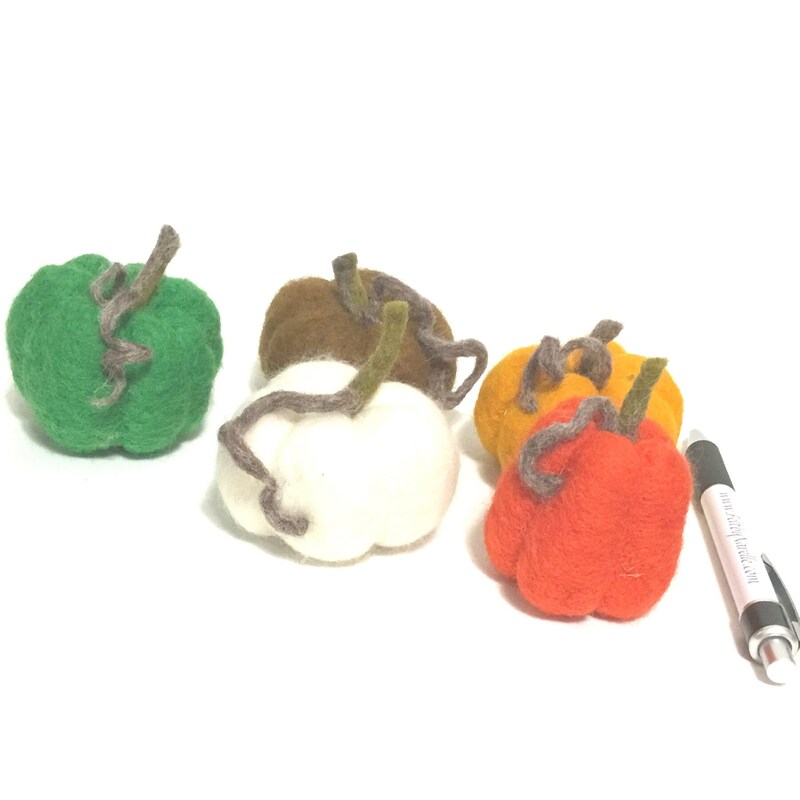 These 5 cute wool pumpkins are in a variety of colours and make a lovely table centrepiece. 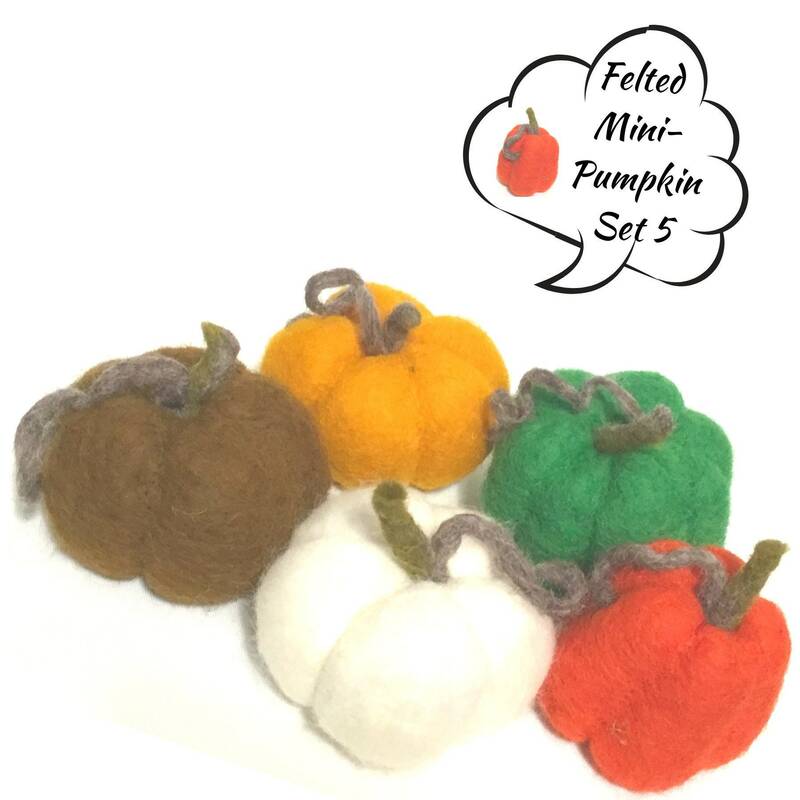 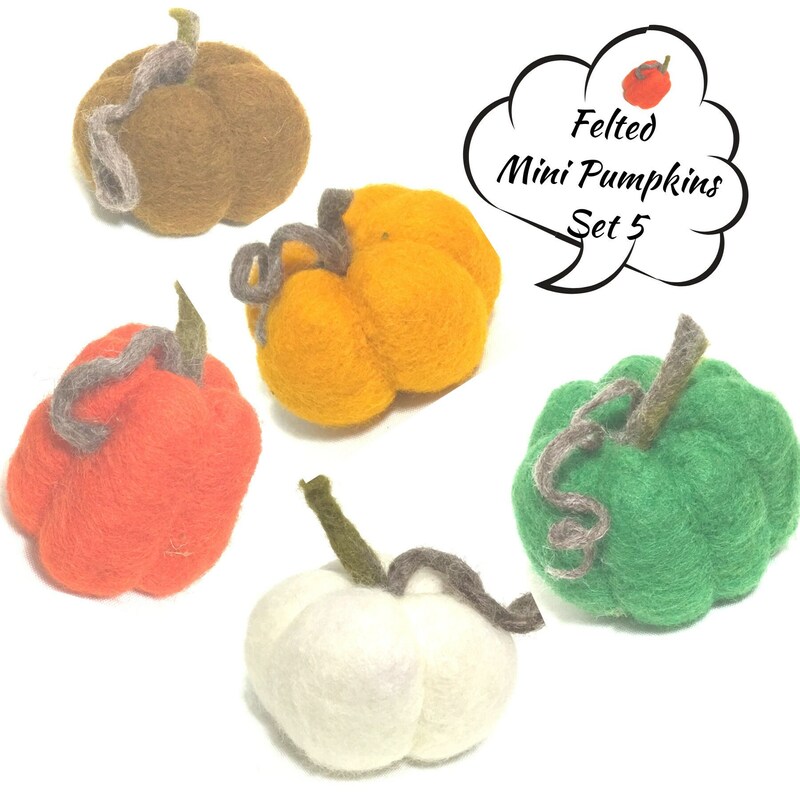 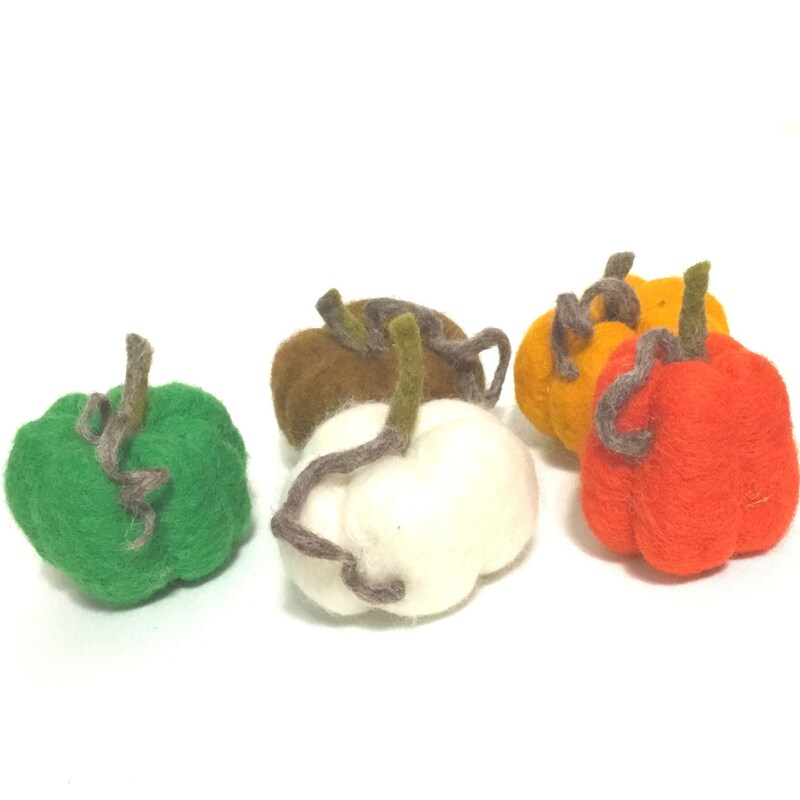 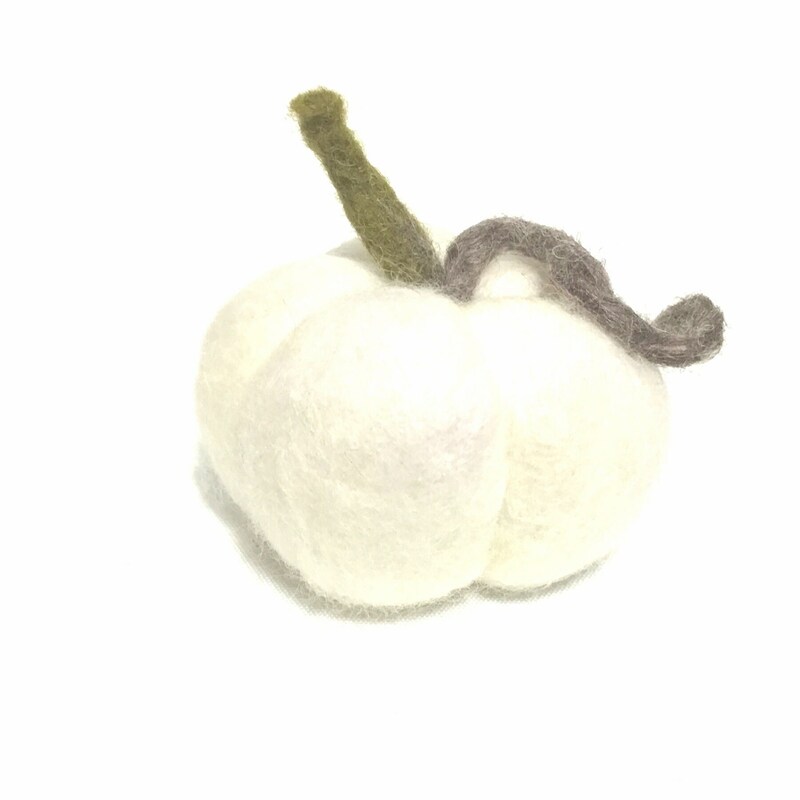 These mini-pumpkins are needle felted in lovely colours of gold, red, brown, white and green Australian Merino wool with curly tendrils of brown trailing down. 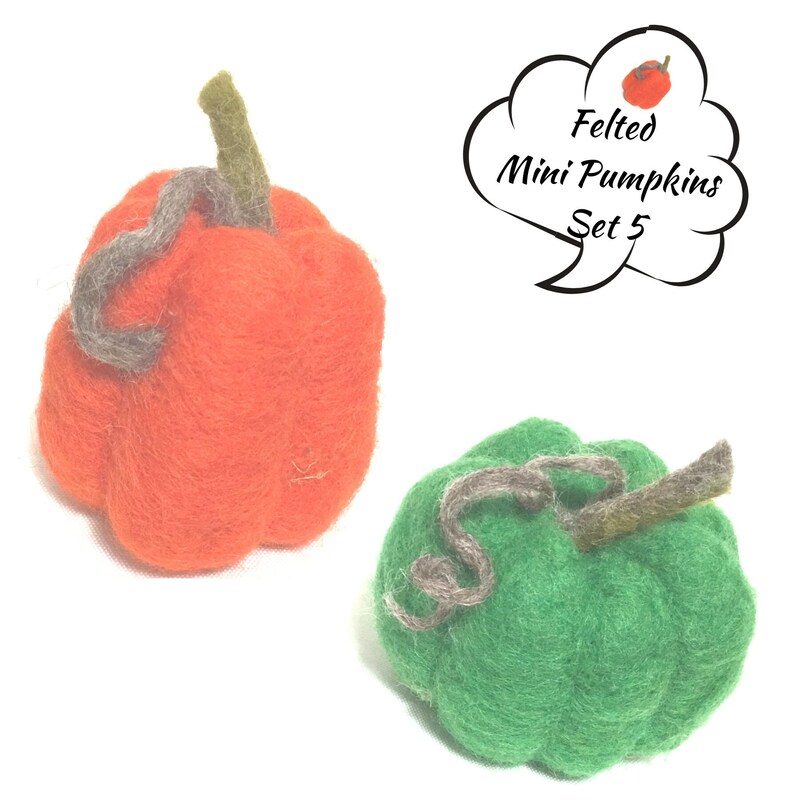 These make a great collectors item to brighten up your glass showcase. 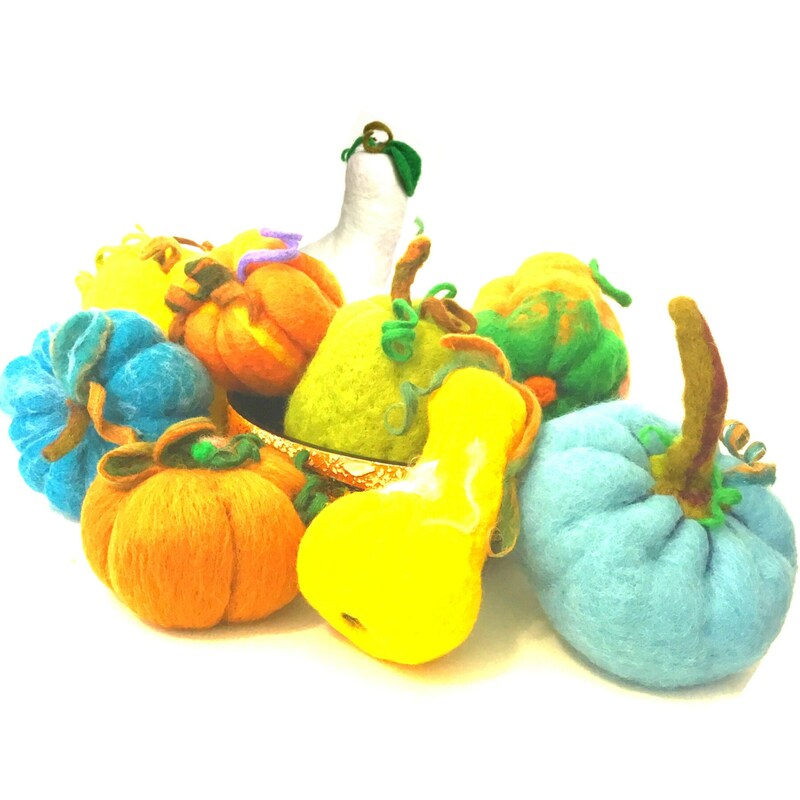 OR look great mixed into your fruit bowl all year round. 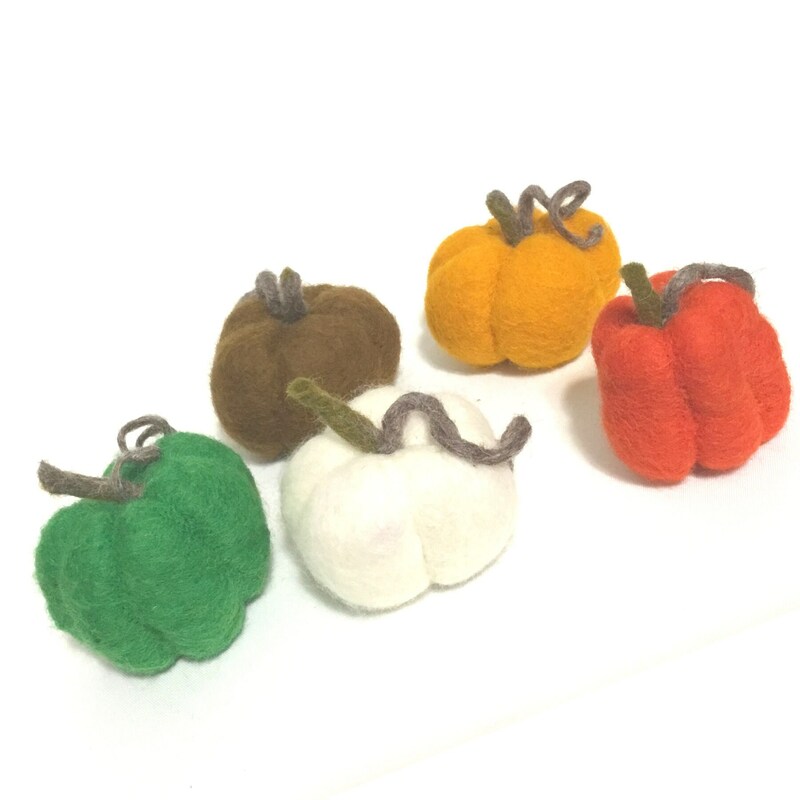 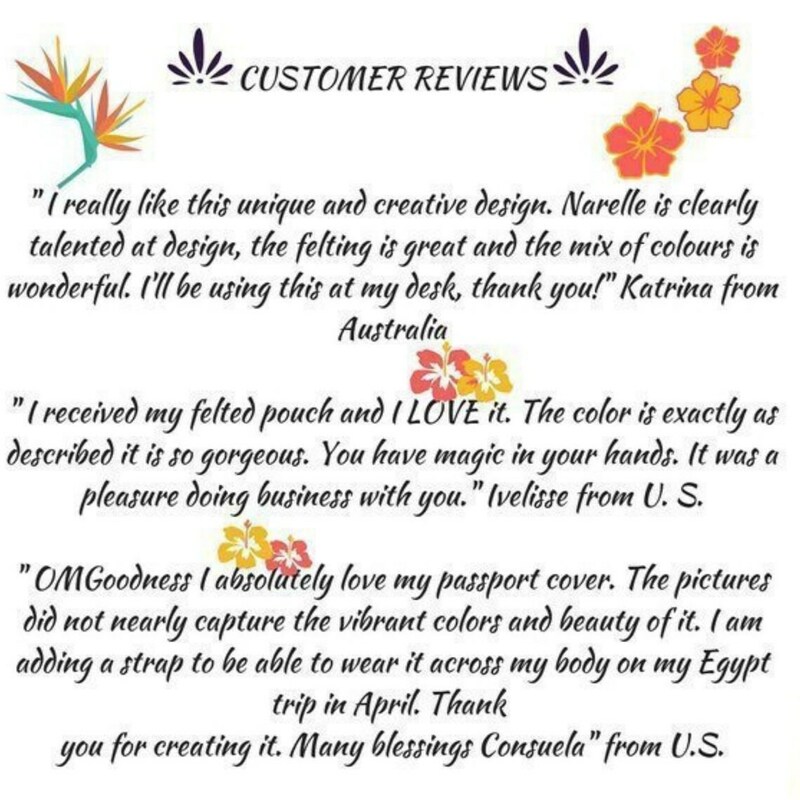 Sizes are approx 2" tall by 2.5" wide.